Stand Banners - Portable convention pop up exhibition banners for conferences and promotional standing banner displays. Custom banner stands UK and standees for events and seminars. International next day delivery for trade show graphics, free standing standee sign displays, event display pop up stand banner and exhibiting accessories for trade fairs and festivals. Professional printing design and sign company. Supplier of promotional retractable banners and stand up pop up banner stand displays. Conference trade show pop up display banner stands, straight curved magnetic pop-up backdrop wall systems graphics. Exhibition stand banner for event displays and promotions. Trade fair backdrop display banner marketing stands. Exhibition counters, tables and advertising plinths for portable demonstrations of sales promotions. UK signs and graphics company for promotions and advertising display stand banners. Printing of Flags, Gazebo Tents and inflatables. Digital printing services for posters, flooring, literature, printed pop-up graphics. Trade show graphic systems. 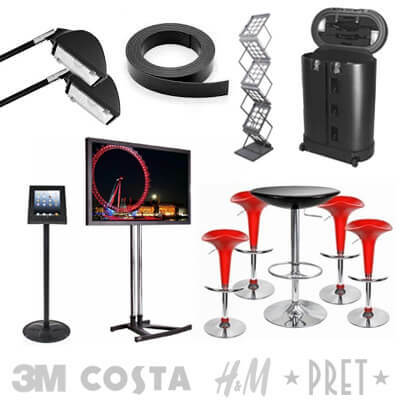 Accessories including transport cases, lights, literature holders, furniture seating and iPad display signs. Exhibition design company offering graphics service for low cost portable display branding. Need a trade show pop up stands for an up coming trade fair?. Look no further for business banner stand displays, with over 25 years experience in the design manufacture of small trade fair stalls for mobile promotions. Marketing display banner stand can be digitally printed for the complete solution for your companies exhibiting needs. We specialist in trade show display booth, including single to double sided standing options. Pop up stand banner have over thirty years experience in the production and manufacture of portable display systems for all your brand marketing needs. Standies produce unique mobile systems for promoting your company at organised trade fair events to demonstrations of new products and services. Stand-banner started out as a conventional sign company producing vinyl cut graphics for vehicles and shop signage, we then expanded into large format digital printing for conference trade shows. Banner stands company Swansea can deliver to any expo venues across the United Kingdom and including Birmingham NEC, EXcel London, Scottish Exhibition Centre, Barbican Centre, Business Design Centre, Cardiff International Arena, Edinburgh EICC, G-Mex Manchester, UWE Bristol Conference Centre, Irish Venues and Aberdeen Exhibition Centre and many more, including any hotel board rooms and museum advertisements. Stand banner are a manufacturing company offering a wide selection of pop up advertising banner stand for events and exhibitions, throughout the UK. Conference banner stands come in all shapes and sizes, from free standing banner display to roll up and pull up banner systems, primarily the principle is the same. Many retractable exhibition banners are housed in an aluminium cassette and come in varying widths, standees starting from 600mm (60cm), 80cm and 85cm these are common sizes that you will see regularly at shopping centres for promotional advertising and in trade shows as part of a larger shell scheme space. Stand banner supply many different styles from lots of suppliers, including Ultima, Nomadik, Plex, Nimlok, Twist, Easy stands and we even have our own trade price version, that is commonly recognised as one of the best on the market. We only manufacture quality pull up display banner backdrop systems for promotional use and we guarantee our banner mechanisms will last for many years. Bigger is better when it comes to exhibition marketing stands and we provide the largest backdrop banner screens in the UK. Choose from a wide range of portable displays that will stand up and get noticed at any seminar or trade fair. We print banner stands up to 3 metres wide (10ft) by 2.4m tall (8ft), which makes an impressive exhibition stand banner display, we can even make custom banners to suit your shell scheme space or event requirements. Regardless of your promotional roller banner stand needs, we have the right stand for your marketing display requirements from cheaper low-cost alternative stand up banners to deluxe and even environmentally echo bamboo display banner stands for green or companies that require a low carbon footprint. All our retractable banner advertising stands are quality tested for peace of mind and our printed banner graphics are superior in every way with photo quality printing and then finished with a crystal protective over laminate. Stand banner offer diverse solutions for promoting including advertising banner systems that include, iPad stands, built in shelving, expanding, LCD TV monitors, integral literature holders and even motorised scrolling banner screens. New for 2016 - 2017 is our bespoke range of fabric pop up banner displays that are ideal for in-store promotions with a class B1 fire rating. A unique free standing portable system that is easy to erect and transport, supplied with interchangeable graphics that give a low cost, even budget saving for your company. Visit our London office to get good ideas on marketing banner stand advertising solutions, from desktop pop up banners to projector screen banner displays. Get an idea of what your event display banner could look like with our sales advisors and graphic design team. Stand banner create a custom pop up stands for large-scale exhibiting at national events and expo across the United Kingdom. Exhibition pop up displays is the professionals choice for medium and large event spaces. Pop-up marketing screens can be designed and constructed to fit a specific shell scheme space and we make using straight and curved magnetic lightweight frames any configuration, even expanding exhibition pop up. Choose from standard configurations, including popular sizes like 3x2, 3x3 and even larger width pop up exhibition displays London up to 6m (20ft) and even bigger should you need it. Commonly used for trade show pop up backdrop walls for high end exhibiting for AGM (annual general meeting) conference pop up display stands and seminar presentations. Favoured by many regular exhibitors who want a convenient, simple to erect portable pop up system. Stand banner product displays are tailor made for your business, we design and print in-house to any specification or size, from mobile pop-up booths and corner pop up trade fair stands to kits and exhibition bundles. Best quality printed pop up screen panels on the durable photo grade media for long lasting popup graphics. Roll up panels make for easy transportation and can be stored easily for long terms. Marketing pop up stands are great for promo advertising, product launch and re-brands. Conference pop up systems can embellished with many accessories to improve and enhance its visual appeal and make it a more functional stand-alone display, these accessories include, transit cases, LED lighting, fabric panels for posters, integral shelving, built in TV monitors and stabilising feet for high footfall areas and added stability. Stand banner now sell customisable pop-up display stands and flexible solutions that can be moulded, twisted and conformed to any shape, this gives great versatility to the client and greater options for trade show stand spaces. Backdrop wall screens bend and conform to any vertical shape, so you can create right angled display stands or booth shape, whatever catches your eye. At stand banner display we can also make event pop-up stand to any height up to 3m tall (10 feet) so you can stand out from the crowd. We can make our systems up to any width from 1 metre by 3 meters and up to 8 metres. Regularly favoured by big brands like coca cola to sample or demonstrate new products at high profile locations, including sporting arenas and shopping centres. Choose from standard service and express 24 hours guaranteed next day delivery on all your pop up equipment, or collect from our London showroom for convenience. Discounted bundle pop up deals allow you to custom design your exhibition display just how you like it, add related equipment to your pop up, like pop up banners, lights, podium case counters and so much more. Exhibition stands come in every shape and for relative to your requirements, from basic packaged bundles to larger event marketing stands for trade shows. Commonly most stands are flat packed or folding and are custom manufactured for your shell scheme wall space. Stand banner supply a variety of marketing systems to suit your specific needs, many of our exhibition bundles can be modified or extended to fit alternative size spaces and all 100% portable for ease of use. Many purpose designed trade show booths have two or more side walls, to give ample graphics branding and personalise your trade fair stand. The printed screen is easy to instal and can be booth ridged and roll up material, depending on your personal preference. With a three walled stands, your booth is a contained exhibition stand that allows you more options for accessories like televisions and literature stands to be fixed onto display for a more experienced look and feel. Stand banner also constructs display stands that can be used for product testing and food sampling stands, often used to measure customer feedback before the product is launched. Commonly used by large and small advertising agencies at business convention seminars, by companies like Coca Cola and P&G. Fabric marketing displays allow for lighter more transportable system that requires less installation time and graphics can be changed quickly. Fabricated gantry style stands are effectively Meccano for exhibition builders, so any size or shape system can be made, it also supports much larger, industrial size TV monitors for more impressive visual effect. Effortless construction that requires no tools of fixings. Mobile promotional counters are an essential part of any exhibiting display stand and a meeting point for public and clients alike. Exhibition counters offer flexibility, function and ease of use, combined with company printed graphics, this standalone sales promoter allows you to market your business in any location, choose from the widest portable counters available in the UK. Stand banner guaranteed to deliver unique tables, plinths and desks at affordable prices for all promotion stand requirements, including in-store retail promo displays and even external counters for high street marketing and festival events. Commonly used by marketers for every service brand and product imaginable, including food vending counters for hot snacks, refreshments and sampling vendor kiosks. For trade fairs, showrooms and shops, we have specific stands to promote and display marketing for any possibility in addition to standard pop up counters, we construct from lightweight PVC custom-made compact manageable promoter counters that can be flat-pack construction or simply hop up. Lightweight portable counters for a selection of uses where you require work desks for presentations. Available in many sizes and styles for many different uses, from product launch and tasting for new product lines to a convenient case like the cabinet for displaying services or advertisement information. New for 2016 are our mobile sales kiosk and vending stall for selling your food or produce from a hot stall. Exhibitor counter plinths are supplied complete with your printed logos for internal or external use. Custom branded options available on request, discount on large quantity orders with fast turnaround on many products including folding tables, Perspex cases and podiums. Massive choice of stylish presenter desks for market promoters and demonstrators and speaker style lecterns. Semi-permanent and static podiums with a wealth of features, from lockable and illuminated to integral monitors and iPad workstations, as practical or as diverse as you need. Bespoke alternatives and purpose-built exhibition counters for discerning and astute clientele. Outdoor and external signs for promoting sales and business in the high street or no matter where your business does, from shops to restaurants and even public houses, we have all the signage and banners you will ever need. Stand banner are a London based sign and design company offering a premium sign service for all your sign needs, from basic wall poster frames to directional and information signs, to printed exterior logos. Stand banner produce signs for events and promotional days, to sporting display banners and even tents and branded gazebo’s for all weather promotions, sales and marketing. We manufacture free standing potable weather proof systems that are designed to be used, time and time again externally for promo festivals, like Party In The Park, Glastonbury, Henley Regatta and so much more. We can print and manufacture custom made and branded products, like inflatable product displays, inflated shelters, wigwam tents and even printed inflated sports buoys for surf and triathlon contest. Some of our external signs are ideal for use all year within the elements and are guaranteed to last. Stand banner print all our PVC banners and flags for advertising stand outside, we hand finish each gazebo and branded parasol in-house. Whatever your needs, we produce the right product at the right price, from wall mounted adverts and outdoor banner stands to custom printed windbreaks for the Newquay Board Masters and Electric Beach Festival. Many large brewery chains and event organisers use us for peace of mind and professional expertise for anything promotional. We supply restaurant cafe banners and related goods to companies like Starbucks, Burger King, Ford and many others. Stand banner provide contest sponsorship for sporting festivals and events, from pop up banners to stand up display banners for business advertising, including lamp post and feather flags. In this age of modern technology, we have added to our products, touch screen digital signs and monolith information screens, to display general information or advertise. We also sell very unique branded semi-permanent vending kiosks, that can be tailor-made to sell or vend coffee, ice cream, confectionery and even alcohol or hot food. We have had custom commissions to produce these for large music festivals, seaside promenades and tourist museum attractions. We also produce supply large selection of poster sign frames and lockable display cases for self-promotion and also illuminated and backlight advertising stands for permanent promotion. Used for every facet of business that wants to promote special offers and generate sales. Stand banner offer a wide selection of digital printing processes, from the standard dye, latex, pigmented UV process, to sublimation and transfer printing for every kind of use. We print anything from floor graphics to custom branded carpets for movie premiers to red carpet VIP events. All our print processes are done in-house, so you can rest assured that your wallpaper or poster printing is in good hands. At standee banner, you can choose from every printing possibility and print solution for exhibitors, marketer or advertiser. We print using only the best quality of leaflets, flyers and advertising posters. 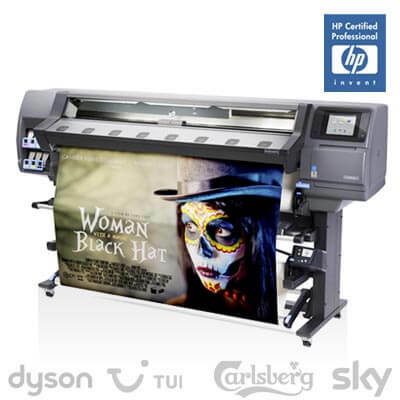 Fast friendly, reliable printers London for trade show poster displays, commonly used at exhibition fairs and related events. Fantastic quality photo printed Velcro panels finished with protective overlaminate and are simple to roll up, store and erect. Re-printed pop-up panels and re-skins for old pop up marketing displays are cost effective and affordable option for re-branding. Stand banner supply superior quality pop-up graphics for new and old stands alike, no matter what make or model you have or supplier, we guarantee to be cheaper and improve on both print quality and finishing. All our panels and boards are printed at an optimum resolution of 2400 DPI (dots per inch) using a combination of 4, 6 and 8 colours to give more vivid colours and sharper pictures. Heavyweight graphics are more durable and give a better finish than our competitor&39;s lightweight option and last a lot longer, combined with deep crystal lamination, you&39;re guaranteed to last for years. Printed signs and graphics for long-term use, including fabric printed graphics used for a variety of different stands and media’s, including exhibition graphics, shop fascia signs, health and safety and even printed inlay graphics for surfboards and sandwich construction fibreglass graphics. Lycra, cotton and polyester prints can be used for a host of tailored products, including table clothes, curtain drapes, custom furniture coverings, awnings and exhibition screens. Affordable design and graphics service for all aspects of commercial print and branding for every portable promotional marketing display and printed literature. Stand banner has over thirty-five years experience exhibition stand designs. We provide a cost-effective professional service for instant design for our products, that can be printed and manufactured for next day delivery. Graphic design service, complete package for all your company graphics, based on your existing corporate branding. Your literature and poster displays will be designed by experienced graphic designers who only work on exhibitions stands, so making you stand out from the competition. We can easily adapt your current company branding to work for any of our products to create the visual effect you need to attract new clients and customers. Cheapest design studio in London, create visually stunning sign banners for our clients. We have had our work described by many of our customers as epic. Try the Professional option and you won&39;t be disappointed. Full selection of disciplines available, from logo designers to corporate re-brand we have got you covered for affordable for the finest premium, unparalleled design service this side of the Themes. Call in today at our London showroom office. Stand banner provide a premium service for delivery all over the world and guaranteed next day delivery to anywhere in the EU and Europe. Order your display system before 9 am in the morning and we will dispatch your goods to any country or city for your exhibition or trade fair. Stand banner deliver daily to many of the major cities and exhibition venues throughout the European Union, including, Germany France, Switzerland, Norway, Austria, Ireland, Spain, Portugal, Austria and many more cities, like Berlin, Amsterdam, Vienna, Helsinki, Madrid, Stockholm, Milan and all others. 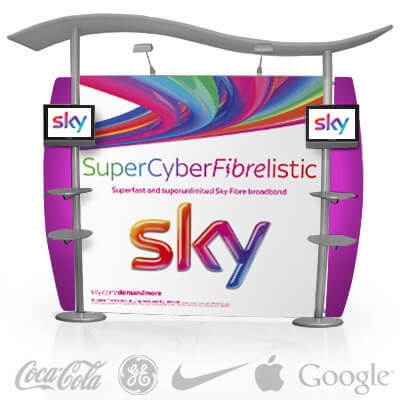 Fastest UK delivery for all your portable marketing displays and advertisement needs. 24-hour courier service can deliver next day to the UK. We use the cheapest most recognised courier service in the world, including well-known service suppliers like UPS, FedEx, Parcel Force, Lynx and TNT. Simple cost effective solution with easy payment methods including PayPal, Visa, American Express (Amex) and also charity trade discount accounts.